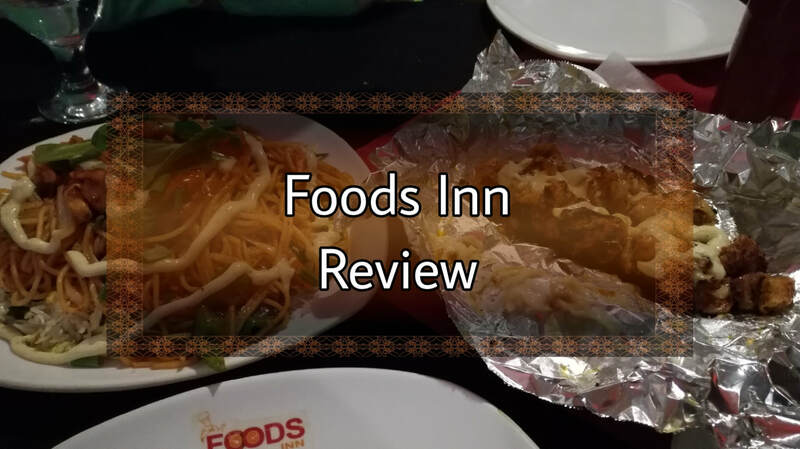 Foods Inn is located at Sindhi Muslim near Bundoo Khan Restaurant. I went there the second time but this time I was invited to do a tasting of their food and experience their services. Their ambiance is good with a proper dining area. The seating arrangement is comfortable and I liked that each table had a bottle of sanitizer. Their environment was also peaceful. The quality of their food was quite good. According to them their two specialities were Singaporean Rice and Chicken Shahi Chattak Boti. So we asked them to bring these two. Along with that, we also ordered Strawberry Smoothie and Pina Colada. 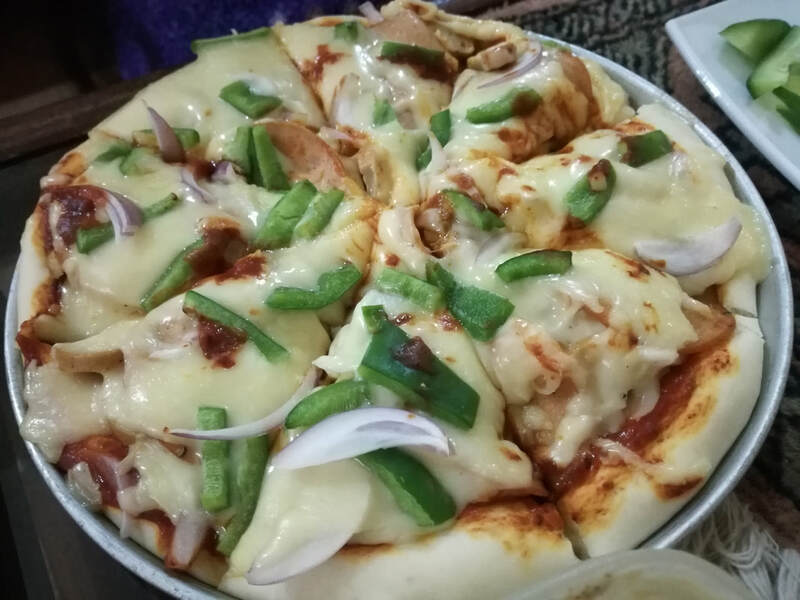 From the main course our favourite was Chicken Shahi Chattak Boti which was topped with melted cheese and mayonnaise. The Singaporean Rice was good but it tasted of a lot of pepper. The quantity of both the main courses was excellent and great for the money you pay. In drinks, we loved Pina Colada because it maintained its original taste but the Strawberry Smoothie lacked the sweet taste and actually had a lot of sour taste of the yoghurt. Check out the foods' videos below. The waiters at Foods Inn were polite, and alert about our needs. Food was served on time and was being served on time even to the other customers who were present at that time. ​I rate Foods Inn 4 out of 5 stars for their ambiance, service and food. Though they still need to make some improvements in some of the items they are serving. I really recommend trying out their Chicken Shahi Chattak Boti and Pina Colada. ​After several weeks I had got time to dine out with my best friend, catch up with another very old and great friend and order dinner at home with which I ended my Sunday night. 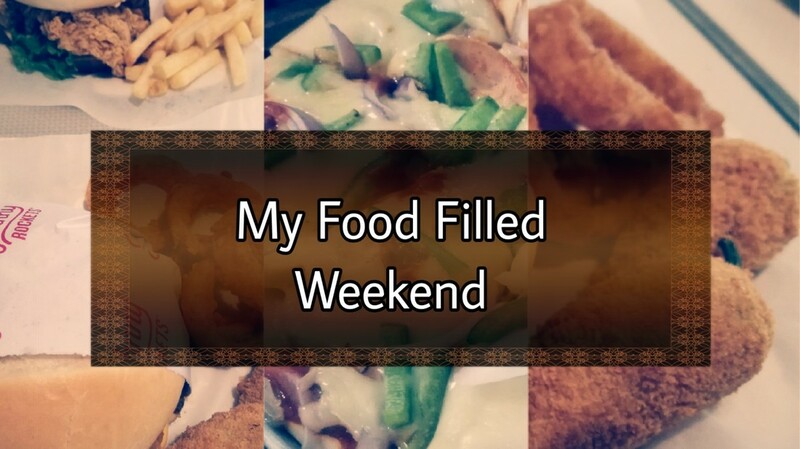 In short I had a delicious food filled weekend. So let us go ahead with the reviews. On Friday evening I dined out with my best friend. Initially we had no plans of stopping by at Johny Rockets but due to some last minute change we choose it. 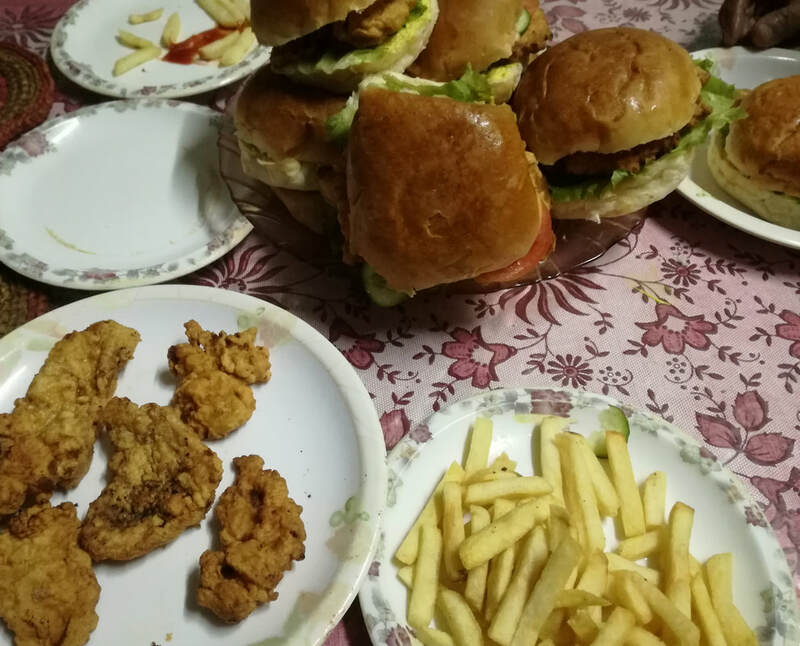 They had the big feast deal going on which comprised of one Smokey House, one Crispy Blaze, one serving of fries, two Chilli Bites, four onion rings and all this was at the price of Rs. 495. Felt too good to be true! So we thought of giving it a shot. I must say we weren’t at all disappointed. 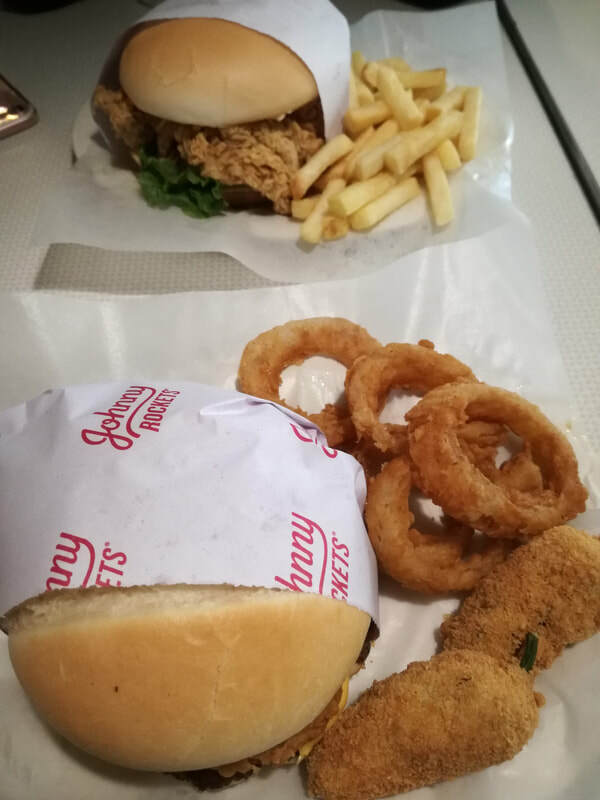 Both of the burgers were of good size and the fries were of generous amount. The Chilli Bites were as usual my favourite because of the burst of warm melted cheese in my mouth. There was an option of chicken or beef for the Smokey House and I had gone with beef. I did feel the beef patty was missing something in taste, I feel it lacked in spice as the name suggested. But apart from that in this amount the deal was good enough to satisfy our hunger. I had placed order at Foodpanda on Sunday evening. I selected Jamil’s Food Centre Mix Grill 1 deal. It comprised a seekh (skewer) of chicken boti, malai boti, bihari boti, gola kabab, chicken kabab, chicken tikka, two paratha, salad and green sauce. This was all in Rs. 610 and we ordered it among 3 people. It was a good deal at this amount and I liked that the spices were all cooked well. I would say it is a must try. Unfortunately I wasn’t able to click a good picture for it. Karamel has been quite hyped up on my Instagram since a few years but I was never bothered to try it myself. But while passing by its outlet I had the urge to step into the shop and try their cookies to see if they stand up to their name. At the outlet the staff heat the cookies before serving them to us but if we are doing take away then we are informed to heat it in the microwave before eating. I had picked Nutella Double Chocolate Chip cookies and Nutella Chocolate Chip cookies. They were deliciously chewy and the Nutella melting into my mouth felt like bliss. My verdict on Karamel cookies is that, not so extraordinary since I have attained similar tasting cookies at home. Each cookie costs Rs. 150 to Rs. 170 and I feel at this rate we could be eating something more fulfilling. ​So I hope you liked my reviews. Let me know if you have any café/restaurant suggestion within Karachi. 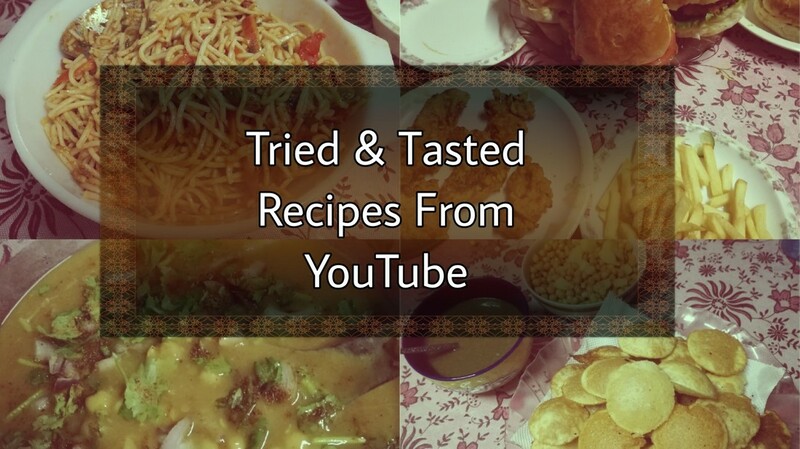 Recently I have been trying out a lot of recipes from YouTube and thought I’d share the ones that worked out well for me so my readers can also benefit from it. Disclaimer: These YouTube channels use Urdu language to communicate with their audience so you might require subtitles if they this feature is available on their videos. This recipe of Pani Puri is easy to follow and turned out very good for me. Though the recipe will require a lot of practice when it comes to perfectly kneading the dough and the frying it at an optimum temperature. But once you get the gist of it you can easily substitute it with the Pani Puri that you get outside. I tried this recipe for the first time and it turned out better than the ones we get in the restaurants. I highly recommend this Zinger Burger recipe from YouTube. It took me I don’t know how many months to find a recipe that felt close to original. I love Kathiawari Cholay and was happy when a good recipe from YouTube came into sight and my quest finally ended. Not so original but simple and delicious. 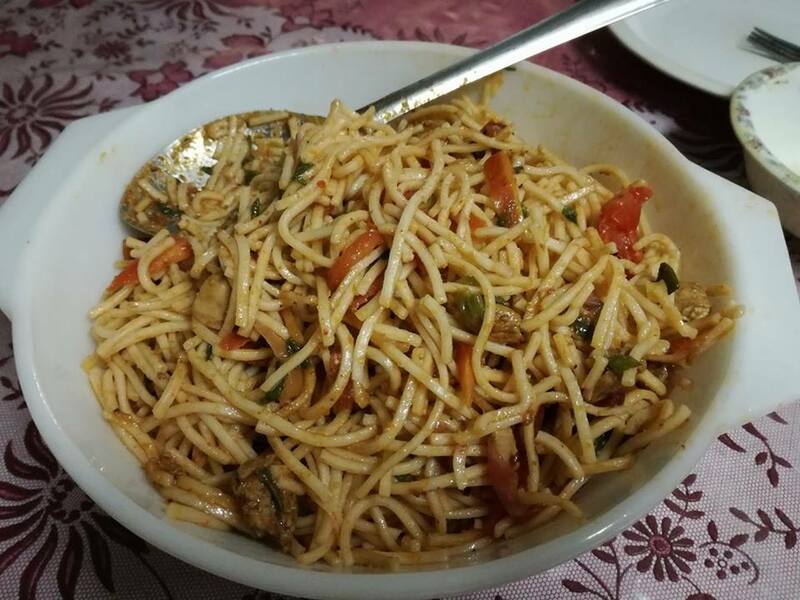 You ought to try this Chicken Vegetable Spaghetti recipe on YouTube. I will be trying out more recipes from the internet and will review them. If you run a channel/website where you share your food recipes then feel free to drop your link in the comments section below. Please support my upcoming book by liking its Facebook page. ​I usually prefer one meal from restaurant a week in order to keep a check on the calories I consume. But this week turned out to be one where all of my friends made hangout plans. So instead of reviewing one restaurant or café per blogpost I am doing a round up review. Located in S.M.C.H.S, Figaro Grill serves Asian cuisines and you can find a lot of Middle Eastern dishes in their menu. Initially I had ordered Arayes Kafta With Cheese but the server returned back saying that it wasn’t available. So then I went with Lebanese Boti. The food arrived on time and was deliciously hot. The Lebanese Boti was served with garlic sauce and raita. Pita bread was also served with it. The quantity was good but I wasn’t really satisfied by the taste of the food. It didn’t meet their high price tag. Also, I have had Lebanese food from authentic Lebanese food restaurants in U.A.E and the food at Figaro Grill wasn’t close enough to tasting like Lebenese food so this isn’t a place I will recommend to my readers. At Gloria Jeans I tried the delicious Chocolate Sizzler. It came sizzling hot and we had to wait for a good 3 minutes for it to cool down. Even then I ended up burning my tongue. It tasted really good and was exactly as I had seen in the pictures. But if I’d compare it from the other desserts I have had, I prefer the Lava Cake or the Malt Cake over the Chocolate Sizzler. I also had Coco-Loco which was slightly bitter in taste and I really enjoyed it. It is a combination of cocoa and coffee. Its consistency was slightly thick and I liked it. On Saturday I visited Dolmen Mall and I ordered Gappa Gotala for the third time. I really can’t get enough of it. Actually I had taken my colleagues to try it out since I loved it so much and they too agreed that it is worth eating. I enjoy the consistency of the spices and the ingredients. It is hard to tell in words but you can see for yourself in the picture the unique presentation of Gappa Gotala. I’d say it is enough for two people. So this is all for the week. How did your week go? Share your reviews of any new food that you have tried in the comments section below. 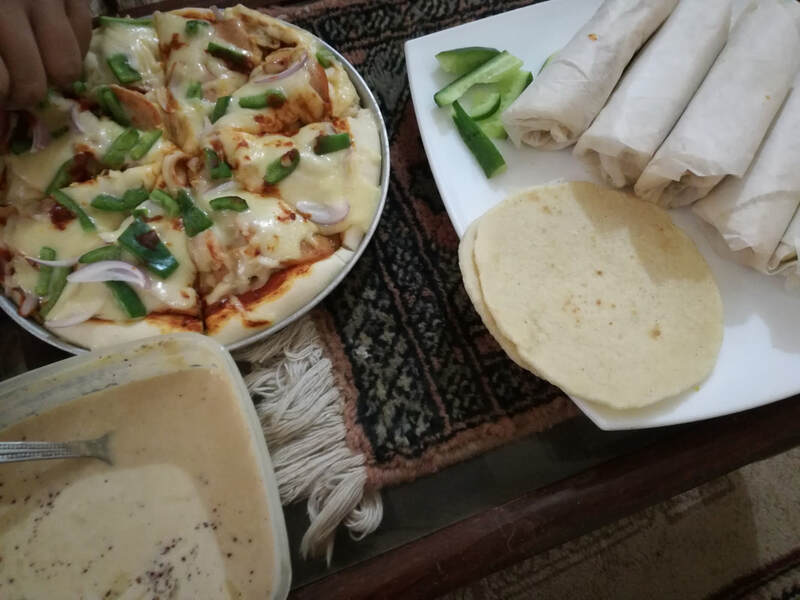 I am adding this new feature to my blog whereby I will be trying out different recipes from websites, YoutTube channels and books, and recommending the good ones on my blog so you guys can simply try them at home without worrying about its success or fail. Last week I really wanted to make brownies and I wanted an easy recipe with minimum ingredients so I can make them quickly. I searched through various recipes on YouTube and finally stumbled upon this easy brownie recipe. It took me only 1.5 hours to make it and they turned out so delicious. My nieces and nephew kept asking for more. You can view the recipe below in the video. Note: I did a few changes to the brownies recipe. I had melted a handful of chocolate chips and added it along with the melted butter and mixed them together with sugar. Once the batter was prepared I had added crushed chocolate and walnuts to make my brownies more chewy and crunchy. As I have written in the past, I enjoy trying out different chocolate desserts and I am always on a lookout for new places. Two weeks back I was out with my friend and took that opportunity to check out Café Liquiteria. On entering the café one of the staff informed us that it is closed for maintenance and will open at 5 pm, I was a bit irritated because no such thing was mentioned on their Facebook as I had checked it the night before and their opening time stated on their page is 3 pm. I had reached there at 4:30 pm. Before I could leave the staff returned and said that we can sit and they will serve us. I was quite delighted to hear that. Coming to their menu, it caters a lot of variety of drinks and the two most prominent items on their menu are monster shakes and chocolate pani puri. So we went ahead with ordering Strawberry Monster Shake and Chocolate Pani Puri. A mason jar glass filled with strawberry shake, a donut on top, and topped with a scoop of blueberry ice cream. I’d say in order to try their monster shake you should go there on an empty stomach or else you won’t be able to finish it all and it would be a loss if you don’t. The blueberry ice cream together with the strawberry shake tasted delicious and I wasn’t able to get enough of it. I’d suggest that you drink the shake first because drinking the shake in the end will make it feel less sweet. Chocolate Pani Puri was my most favourite of that day. Six chocolate coated puris are served with a scoop of vanilla ice cream, chocolate sauce, pineapples, strawberries and bunties. You can fill your puri with different fillings every time, dip it in the chocolate sauce and take it all in your mouth. As the puri bursted in my mouth and as I tasted the chocolate sauce I felt so good. This is a must try item from Café Liquiteria’s menu. Overall the two items that I have tried so far tasted delicious. The ambiance is average because during the time I was there, the lighting wasn’t proper nor was the air conditioner working which made us feel quite hot. The pricing is a bit on higher side because you can eat a proper meal with that amount but then it is not every day that you go to a dessert bar to try high calorie desserts. I am looking forward to visiting them again particularly to try their Doughnut Ice Cream Cake. ​You may have observed a lot of your Muslim peers in search of a spot where Halal food is available. The idea behind Halal food is that the animal is sacrificed in the name of Allah and slaughtered through a cut in the jugular vein. Along with that, halal food should be free from alcohol, urine, pork and blood. Muslims eat Halal food because it has been commanded in the Qur’an. But in addition to that, Halal food has also got a lot of other benefits and is considered to be healthy for the mind and body. To start with, Halal food has low incidence rate when it comes to contamination and food poisoning. Muslims who prepare Halal food keep in mind the hygienic rules that have been set by their religion. Hence Halal food is safer to eat. When the jugular vein is cut, the blood from the animal is drained out which assist in taking away all kinds of harmful substances from the meat. Blood comprises high levels of uric acid which can be quite damaging to the human body if consumed. Research suggests those animals killed through other methods, their meat consists of e-coli poisoning, bacteria and other harmful substances. When an animal is sacrificed in the Halal way it keeps all the organs of the animal intact. What means is each organ loses blood as the blood is draining out. Any other method used when killing the animal can damage their organs and this would again mean that the organs would consist of contaminated blood. Killing an animal through a cut in the jugular vein is the most painless death. The animal is slaughtered with a sharp knife that cuts its jugular vein, carotid arteries, trachea and oesophagus. It is all cut in one swift go so the animal does not feels severe pain unlike when an animal is being electrified or dipped in boiling water. Halal food being free from harmful and filthy substances is not just vital for the body but also for the mind. Our thoughts are impacted by the kind of food we eat. Gary L. Wenk stated in his article, ‘How does food affect our brain?’ “Almost everything you choose to consume will directly or indirectly affect your brain.” So imagine eating meat which comprises of blood, bacteria and other harmful substances and its impact on our thoughts. Halal food promises good health and will keep you protected from diseases. Furthermore, you will be able to develop a stronger immune system and your organs will function smoothly. Halal food being free from alcohol, impurities, blood and urine means that you will have a well-developed body and mind. All in all, Halal food brings in a lot of benefits hence not just Muslims but anyone who believes in eating healthy should switch to it. If you still have doubts about Halal food and how it would taste why not give it a go at one of the Halal food selling restaurants. You will be amazed by its taste which surely is another added benefit to eating Halal food. A few weeks back I had visited Dolmen Mall of Clifton around lunch time. Being slightly hungry I went to the food court and was in search of something light. There I came across Solen Istanbul and approached them to check out their menu. Their menu comprised of fairly everything one would like to have for lunch or dinner. Some items are reasonably priced while others seem a bit expensive to me. I had placed an order for half Grilled Chicken. After placing the order I was quite disappointed by their slow service. The staff wouldn’t give an exact time to wait for. First I was told to come back after 15 minutes. When I went to get my order after 15 minutes I was asked to wait another 5 minutes and then it went on until 20 more minutes. Finally when I got the food, it was hot, slightly crispy and delicious. The chicken had a combination of its crispy skin and tender meat. It was served with salad. I really loved the taste and the spices were light as I had expected them to be. 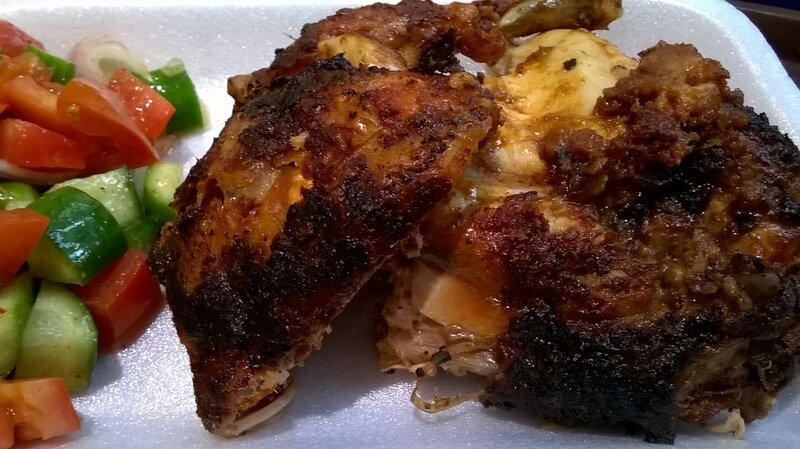 Since a long time I had wanted to eat grilled chicken like the ones I used to have in UAE from the Lebanese restaurants and my search had to come to an end. I won’t say a lot about Solen Istanbul since I am yet to try more dishes from their menu. But they can really make do with staff that can be quick in their job. These Pizza Fries Are a Must TRY! ​I love fries and I love cheese. What could be better than to have them both together! I had been seeing it for a long time on Yellow Potato’s Facebook page but was only able to try it recently. I am glad that I did because after trying it out for the first time I realized I had been missing on so much good taste. 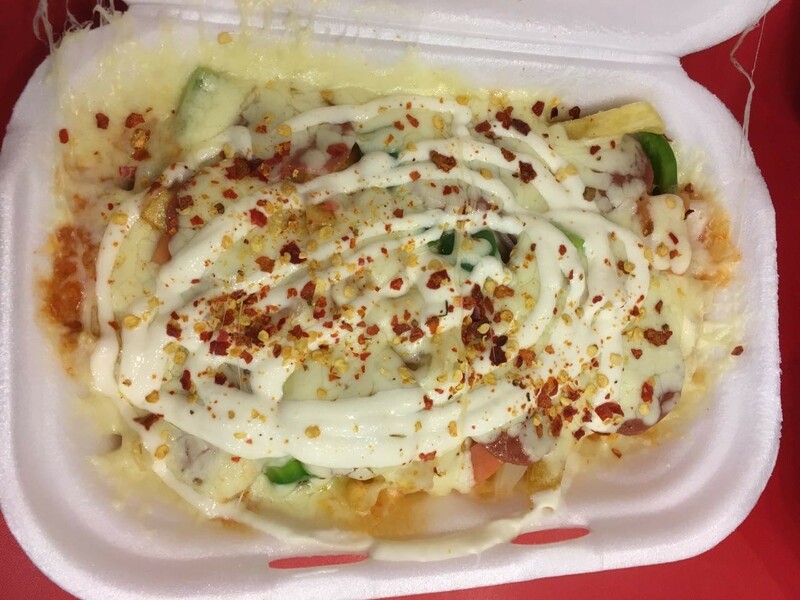 Starting with the price, the pizza fries is reasonably priced and can be shared between two people. You get an option between tikka, chicken supreme, beef and peperoni flavours. I had ordered the Peperoni Pizza Fries. When it arrived it was freshly baked in the oven. There was a good amount of cheese in the pizza fries, in fact the fries were simply immersed in the cheese which made it all the more mouth-watering. The fries were done well and everything in it tasted perfect. All in all, it was one of my best days to come across something so delicious. I will be going back to try more of its flavours and maybe even do a video of it to show you the exact content. Till then don’t forget to comment below with the best food you have tried in your city so far. I had the opportunity to visit Tavern Grill last week which is situated at Bahadurabad. Tavern Grill is a casual dining spot ideal for lunch and dinner with friends or family while also being suitable to celebrate your special occasions like birthday parties or graduation dinners. The ambiance of Tavern Grill is dark with comfortable leather seating arrangements as well dining chairs and dimly lit lights. I also liked their menu layout because the foods were not just named but also described so we could know in advance what we are opting for. We had placed an order of Chicken Panini and Italian Chicken and for dessert we had ordered the Tavern Pie. ​Chicken Panini tasted extremely good. The smoked chicken inside was tender and the quantity of different vegetable slices was perfectly balanced. It was served with fries and one thing I really loved about the fries at Tavern Grill was that they were thick yet crispy. The Italian Chicken from Tavern Grill had quite disappointed me because as much as the chicken’s taste was delicious, its crispy layer came off separately while I was trying to cut it and then it was difficult to poke it with the fork. 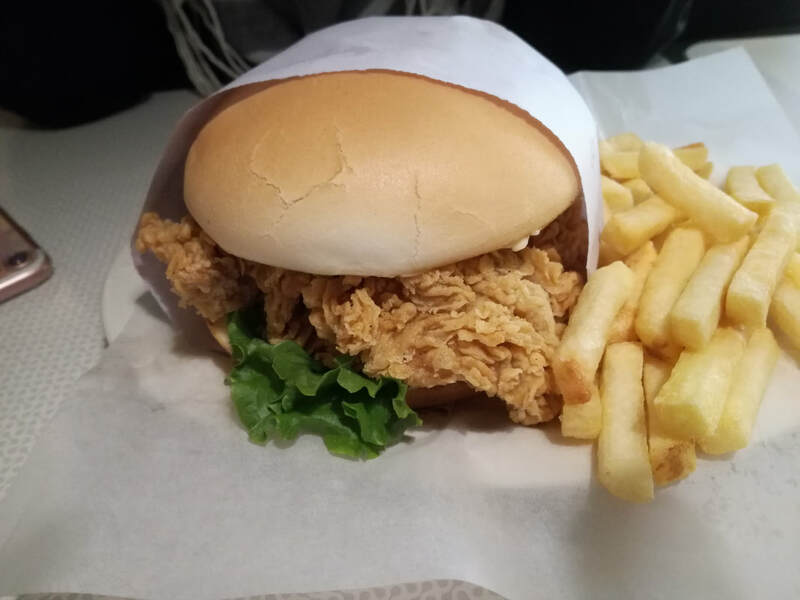 I had a hard time trying to eat it since the complete crispy layer came off like as if it was not even part of the chicken. 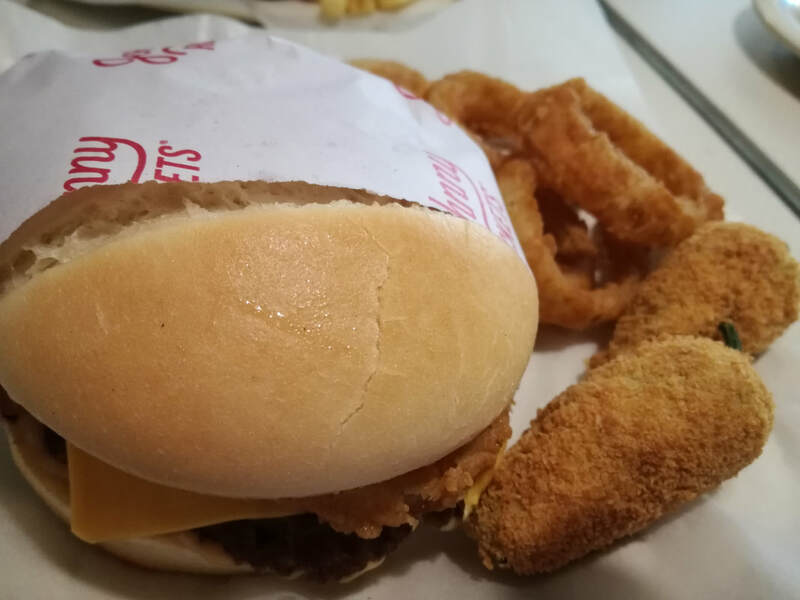 Due to this reason we had to return it halfway through because it became impossible to eat it and what fun was there in eating the chicken without its crispy layer. I was really expecting the waiter to come back with a proper cooked piece but that never happened despite our complaint to the waiter. That was again a big disappointment. ​After the main course comes the Tavern Pie to which I am going to give a big thumbs up. Its taste was outstanding. It was soft and spongy, comprising of chocolate mousse and Oreo crumbs, walnuts and peanut butter topped with hot chocolate sauce. It was a heavenly experience and during my next visit I am again going to order it for my dessert. ​Summing up my experience, the ambiance is good, the staff was polite but seemed inconsiderate about our complaint. The food was delicious but Italian Chicken comes with an expensive price tag and if that is what it is like, I really don’t know if I should even recommend it to my readers. But you ought to try their Tavern Pie because it was just amazing!